Tomorrow (Wednesday) I will be getting a Lumbar Puncture, and I’m a bit afraid. But not as afraid as I am for THURSDAY. Thursday is the day I have been dreading ever since I read “Death Be No Proud” when I was about 12 years old. 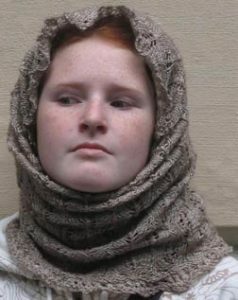 A girl never forgets her first Spinal Tap. 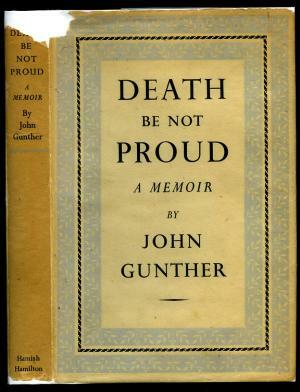 DBNP was a memoir by John Gunther, writing about his son’s brain tumor and death at age 17. I remember it was a very tough read, but the most daunting chapter was the Spinal Tap. Things have improved dramatically since 1949, when (as one of my doctors joked) they used to do Spinal Taps with a can opener. But I’m terrified. I’m terrified of the procedure, and I’m terrified of the Lumbar Puncture on Wed. I watched Gerry get both of them 12 years ago in his initial diagnosis up in St. Paul (at St. Paul Radiology, same folks who are doing MINE) and I saw how much the pain impacted him for DAYS after. I also saw Gerry get second (and third and fourth) of each procedure at the Mayo, and how he barely felt anything because they choose to sedate for these procedures. Since my admission to HealthEast/St. Johns I’d been ASSURED by the doctors I met that I could have both procedures done with very strong anesthetic. This has been a bit of a fight, and it’s clear that NO ONE is happy with me, but tomorrow I’ll be doing to a different facility within HeathEast to get the Spinal done on Thursday. Tomorrow I’m back at Ol’ St. John’s for the Lumbar Puncture, terrified. Bone pain is a scary thing for me. I have a hard time when anyone does anything to my TEETH (outside bones, per Kimmy Schmidt) and sometimes dentist visits have to be broken into TWO visits because – pain. If I sound scattered, confused, I am. It seems that NO ONE can clearly tell me what is a Spinal vs. a Lumbar Puncture vs. A Blood Patch, but I’m getting all three of them, over the next two days, and I wish I could be anywhere but here. I’ll be visualizing the loveliest, longest, most beautiful warm-evening bike ride ever. Or maybe a magical Winter evening ride, around the lake, with all my skin covered and twinkling lights strewn over my bike. From the moment someone said, “Cancer.” I knew that these would be the scary days. Damn I’m scared.